GUIDED TOUR TO THE SYNAGOGUES ON A SCHEDULED TIMETABLE Guided tour to three Venetian synagogues You cannot pull over anyway the soul of the Jewish quarter if not leaving from the synagogues; the synagogues of the New Ghetto are on the top of the pre-existing buildings and are hardly recognizable from outside, while inside they reveal themselves as small jewels. There are five synagogues in Venice all built within the 16th century; three of them are open to public and can be visited with guided tours. The guided tours leave every hour at the half past starting at 10:30 until 4:30pm (5:30 pm (during summer). 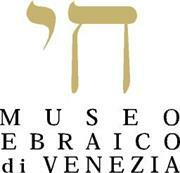 Every hour two guided tours leave from the ticket office in the Jewish Museum: one in Italian and one in English, and last about 40 minutes. They are effected throughout all the year except on Shabbat and on Jewish festivities. The cost for the guided tour is 10€ (full price),8 € for children and students until the age of 26 and groups over 20 people, members of Italian Tourism Association, members of Fai (Italian Heritage Fund), member of Coop and of ICOM, journalists), 7€ for the Venice City Pass (“Venezia Unica” ) holders.